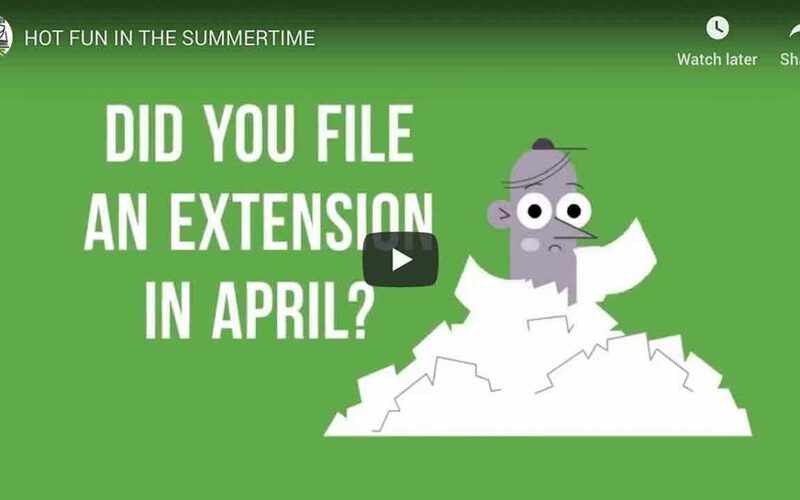 Every spring millions of taxpayers file extensions for their tax returns which gives them until October 15th to file their returns. They do this mainly because they have not yet received all the tax documents they need to complete their returns. K-1’s for investments are usually the culprits here. Knowing they have until October 15th, many taxpayers forget about their tax returns once school is out and summer and vacation season begins. After Labor Day, when the kids are back in school, taxpayers get stressed out because they realize that they haven’t filed their tax returns yet and they will be penalized for filing a late return. This creates another rush (or crush) for their tax professional starting about September 15th and going right up until the final deadline. Get ahead of the curve and help out your tax professional. If you have all your documents, send them to him or her now to avoid the last minute rush. That’s when most mistakes are made, in October as well as April.